Bio: "A Greek, a Russian and a German walk into a bar..." What starts out like a bad joke is actually a quite exact description of The Helldozers' hour of birth. In 2010, Atha Vassiliadis (guitar), Anton Rynskiy (vocals), and Philipp Reissfelder (guitar), everyone of them a seasoned musician in his own right, met in Cologne, Germany, got wasted, and decided to record some songs. Relying heavily on their national beverages, they created their very own kind of riff oriented groove metal, infused with stoner and southern rock elements. During the next three years, the three kept writing and published two smaller releases ("My Anger", EP, 2011, "Revolution", Maxi-Single, 2012). With Atha's Little Brother Ilias Vassiliadis (bass guitar) and Sebastian Kleine Siemer (drums), the Helldozers' line-up was complete. 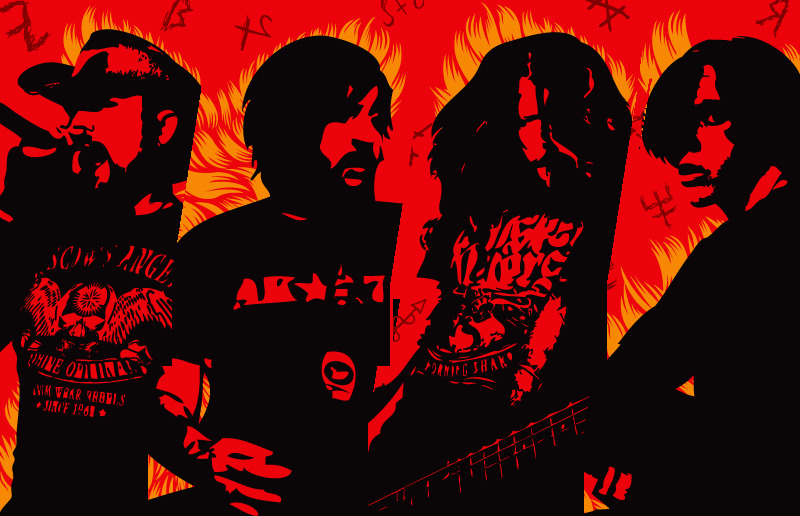 What had started out as a multi-national studio project in 2010 had grown into a full-fledged heavy rock band, armed to the teeth with killer riffs and ready to wreak havoc on stage. So the guys played their first explosive, booze-soaked live shows, just to return to the studio in the summer of 2013 to prepare their most ambitious effort yet. They wrote more than 30 songs, fine-tuning the band's sound as they went, and finally started recording the 12 tracks they liked best. 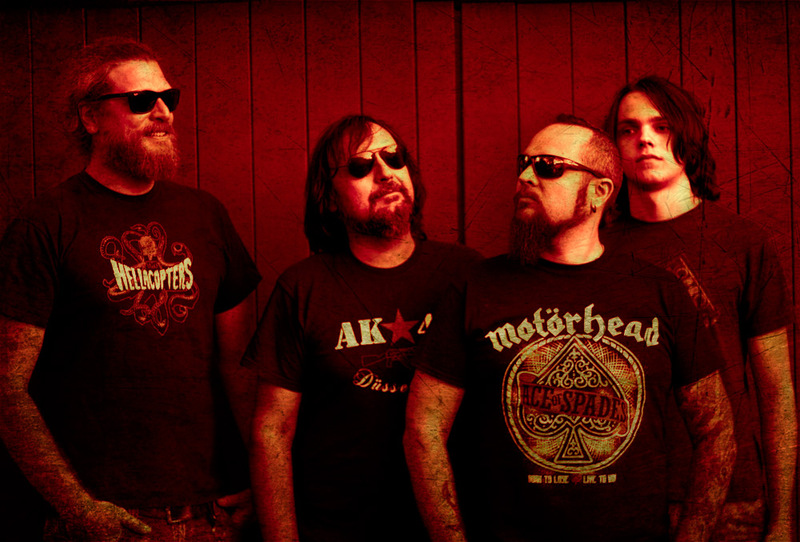 After three months of constant fighting, yelling, drinking, declarations of love and hate and generally all sorts of mental confusion, in other words known as "recording an album", the guys finally made it: on November 1st 2013, The Helldozers released their first full length album "Hate Sweet Hate". Following the approach, that it is more important to have as many people as possible listening to your music than to make money with it, The Helldozers decided to give their new album away for free. This resulted in an estimated 50.000 downloads in the first week after release alone, enthusiastic reviews from all over the world, and some rather exotic reactions, like a 15 minute feature on a Ukrainian radio show. In 2014, The Helldozers kept going, but unfortunately had to part with Ilias, so they decided to have Philipp take over the bass, who, being a guitar player, immediately turned it into a heavily distorted monster to support Athas new, beefed up guitar sound. So, by now the band's sound is heavier than ever. In 2015 Sebastian left, and Athas then 14 year old son Alex Müller stood in for some festival gigs. After having tested several drummers, none of which could hold a candle to the young hotshot, the band decided to make Alex a full permanent member. In early 2016 The Helldozers started tracking for their next album. This time, they went for a very authentic, brutal, close-to-live sound, using no samples and few overdubs. First reviews of "Carnival" called the album's sound "punchy, but not too modern". Mission accomplished. 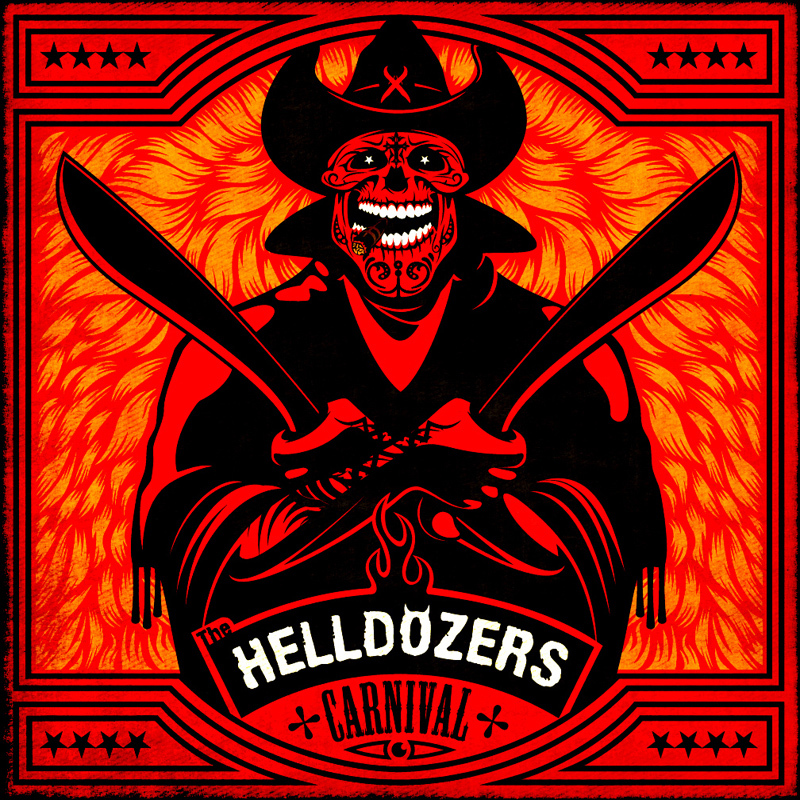 "Carnival" was released on 11.11.2016, the first shows for 2017 are booked and The Helldozers are ready to go.